Not only do Greenways offer a safe recreation amenity they also provide countless opportunities for social and economic renewal and growth. Greenways have been shown to increase tourism and recreation-related spending, increase property values and encourage a more healthy and active lifestyle while ensuring a cleaner and safer environment through the promotion of sustainable transport. These are just a few of the ways greenways can positively impact on our community and economy. Greenways should be called goldways ! 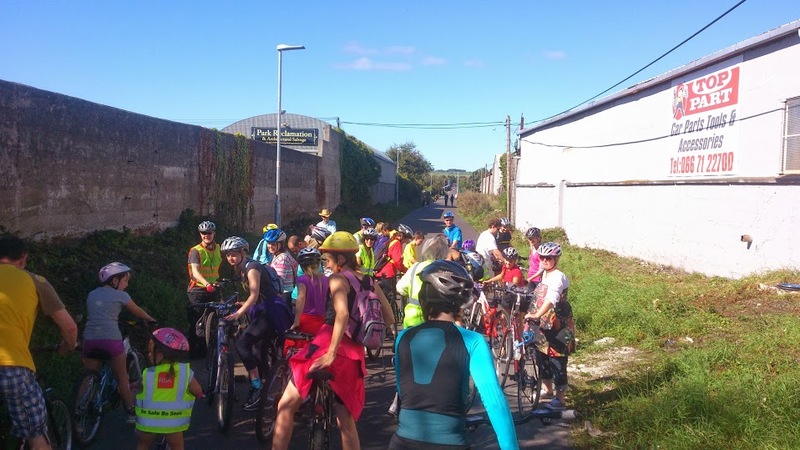 Tralee to Fenit Greenway offers a great opportunity to promote our county. The economic and social benefits of the cycleway are significant to the region. Now is the time to act. 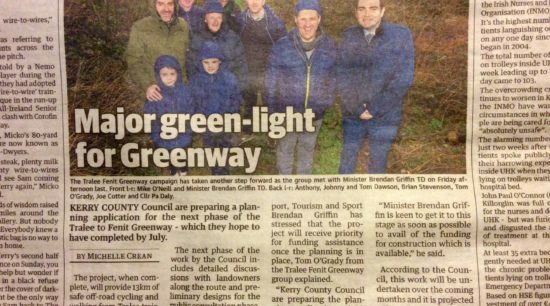 … this greenway will add greatly to the beauty of the area and will give local people along with tourist groups, the opportunity to witness first hand the wonderful beauty Tralee and the surrounding areas have to offer. We believe it is a terrific project for the whole area that not only services the needs of visitors but also locals. 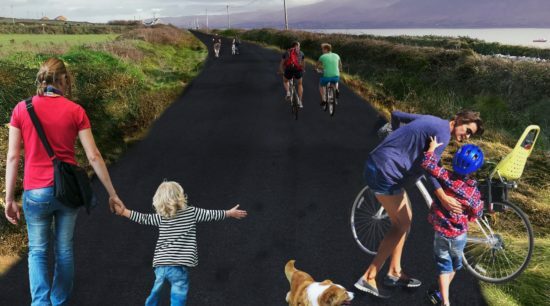 It would certainly be a huge benefit to walkers and cyclists as the current road to Fenit is not safe for either. We believe that this is a critical piece of infrastructure and has enormous potential for good in our village. 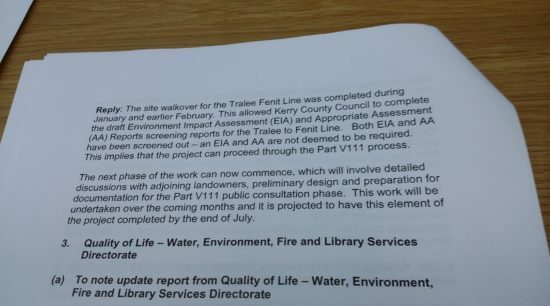 This is the catalyst needed to drive on other projects in Fenit village. It is also very important in terms of a social amenity as the approach road from Tralee to Fenit is very dangerous.